Ready for your shot at $1 million? NBC’s top-rated summer series “America’s Got Talent,” will begin its nationwide search for season eight contestants with auditions beginning in Los Angeles on Nov. 14 and 15. Last season the show discovered unprecedented and unique talent with finalists that included a comedian, a family dog act and a one-of-a-kind musical instrument. With the talent search open to acts of all ages, the auditions then continue in Seattle (Nov. 29), Portland (Dec. 1), New Orleans (Dec. 8 and 9), Birmingham (Dec. 10), Memphis (Dec. 11), Nashville (Dec. 13) and continues onto the East Coast, making stops in Savannah ( Dec. 14), Raleigh (Dec. 15), Norfolk (Dec. 16), before heading to San Antonio (Jan. 12 and 13) and Chicago (Jan. 26 and 27.) Additional auditions cities will be announced shortly. Updates and a full list of details with all venue information can be found at www.AGTauditions.com. 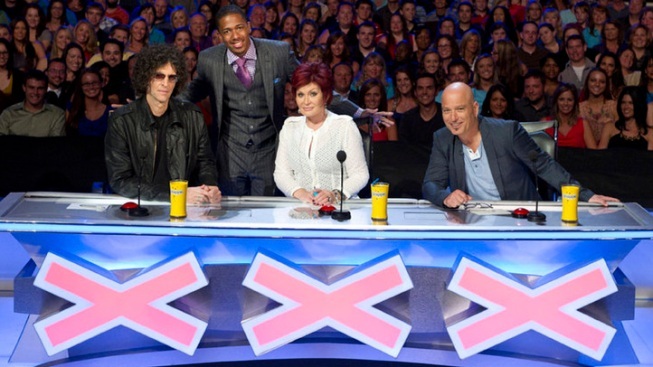 “America’s Got Talent” is the only talent competition show that is open to any age and any talent. The auditions are a once-in-a-lifetime opportunity for performers across the country to showcase their talents in 90 seconds to the series’ producers in the hopes of being able to take the stage in front of the judges. Every type of performer is welcome - including musicians, dance crews, magicians, contortionists, comedians, singers, jugglers, animal acts and everything in between. Last year’s auditions took the show to numerous cities, including New York City, St. Louis, Los Angeles, Austin, and Charlotte. This year’s search is bigger than ever before, with the show traveling to the most cities in search of one-of-a-kind talent. Last year the winning act, Richard and Nick Olate of Olate Dogs, beat out thousands of hopefuls to take home the coveted $1 million grand prize and a headlining show in Las Vegas. Olate Dogs is a high-energy, fast-paced dog act filled with impressive pet tricks led by Richard Olate, 55, and his son Nicholas Olate, 19. Richard grew up in South America in a poor family. A third generation circus performer, Richard has performed since he was 12, and through hard work and constant struggle, he made it to the United States at the age of 33. Click here to see reactions from Olate Dogs and the "America's Got Talent" Season 7 judges.